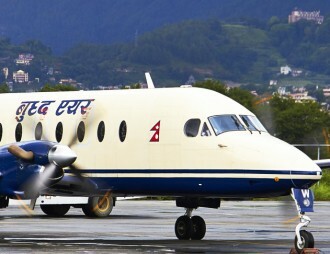 Our Aircrafts | Buddha air - Buddha Air is one of the leading airlines company in Nepal. The Beechcraft 1900D has been modified and upgraded from its predecessor. Beechcraft 1900C and was first commercially commissioned in March 1992. 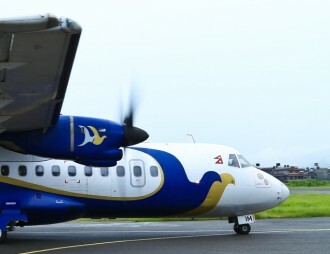 Buddha Air is the only airline operating brand new, straight-out-of-the-factory, and currently in production pressurized aircrafts in Nepal. The aircraft is manufactured by the US based Raytheon Aircraft Company (now Beechcraft, Textron Aviation). ATR is a French-Italian aircraft manufacturer formed in 1981 by Aérospatiale of France (now EADS) and Aeritalia (now Alenia Aeronautica) of Italy. 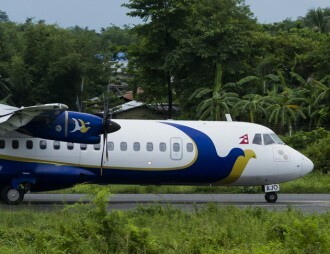 Its primary products are the ATR 42 and ATR 72 aircrafts. Alenia Aeronautica manufacturing facilities in Pomigliano d'Arco, near Naples, Italy produce the aircraft fuselage and tail sections. ATR 72-500 represents the latest generation of turboprop aircraft with comfort and performance. The 70-seat ATR 72-500 is known to be the best aircraft with turboprop engines. Powered by PW127 engines, which is also used to power ATR 42-500, the ATR 72-500 provides an outstanding short field performance for an aircraft of this size.